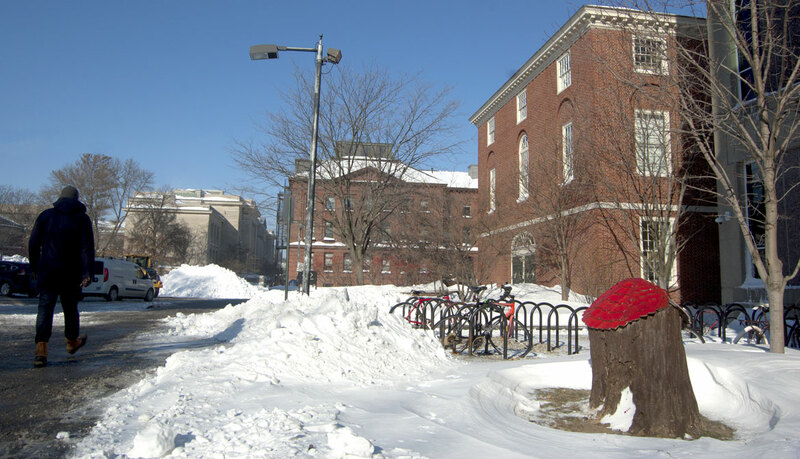 Just north of Harvard Yard in Cambridge sits the Harvard Science Building. 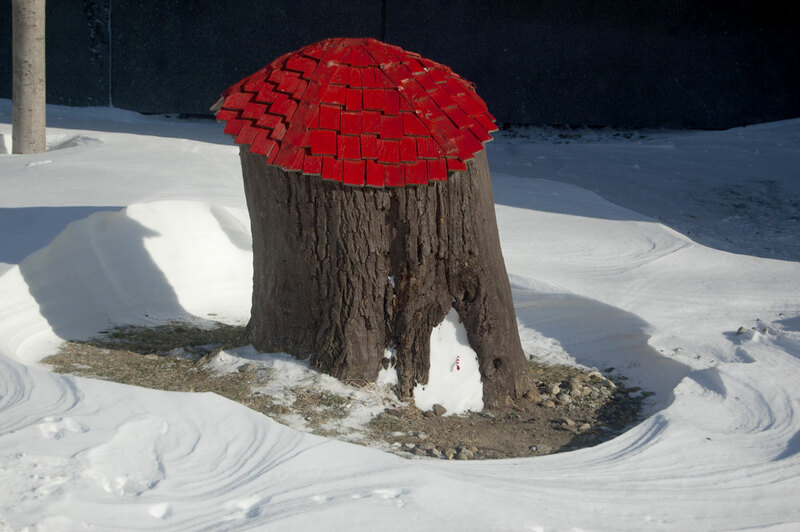 And just to its left, on its west side facing toward Cambridge Common, is the stump of a tree, topped by a red shingle roof. At the bottom is a hole painted blue inside that serves as a door. 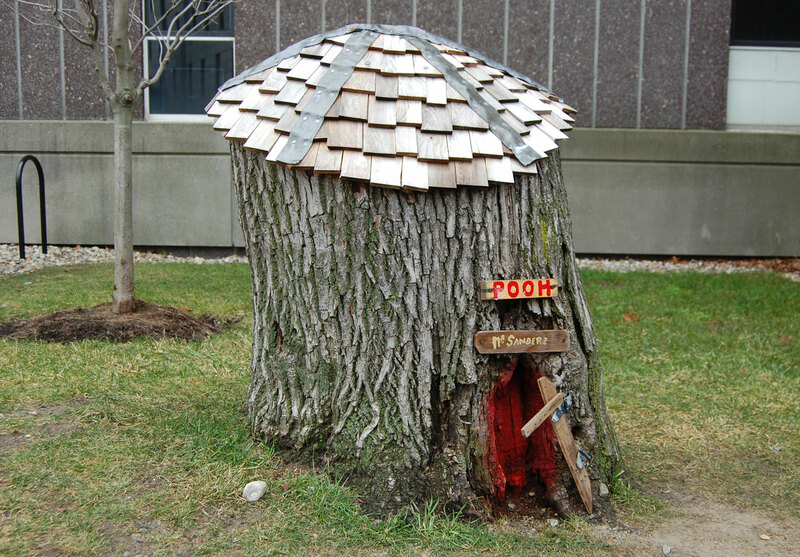 Though in much disrepair, this is the longtime home of Winnie-the-Pooh. There’s no sign to identify this at present, but over the years, the house has had various doors and signs that read “Pooh” and “Mr. Sanders,” as in the classic 1926 book “Winnie-the-Pooh” by A.A. Milne with illustrations by Ernest Shepard. I’d heard that there was a man who cared for it, a fellow somehow connected with the university. And this spring, after a bit of hunting around the internet, I tracked him down. George Eastman occupies a gray-green home about a 10-minute walk from Pooh’s house. Over the years, the 86-year-old studied philosophy at Harvard, then clinical psychology at New York University. He taught music therapy at Berklee College of Music and has maintained a private clinical psychology practice in Cambridge since 1982. 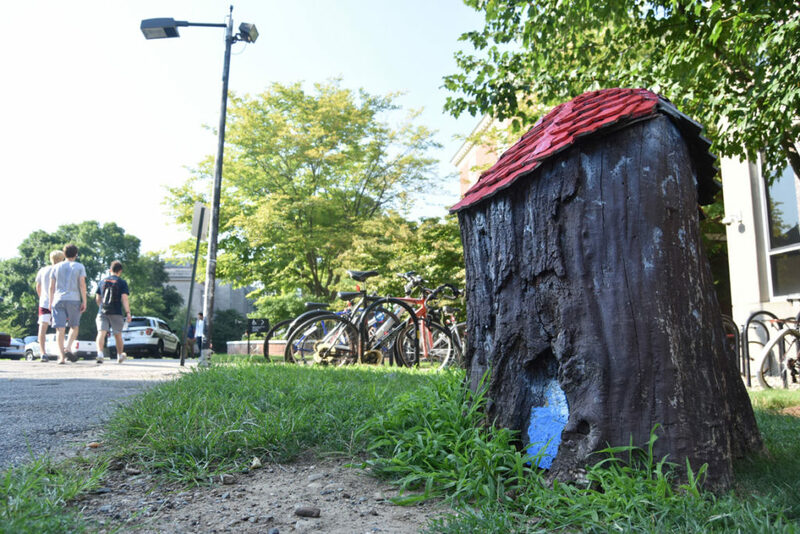 Harvard’s Pooh house is a magical spot. Sometimes there were Pooh figurines. Sometimes the Pooh house would be decorated for Halloween or Christmas. 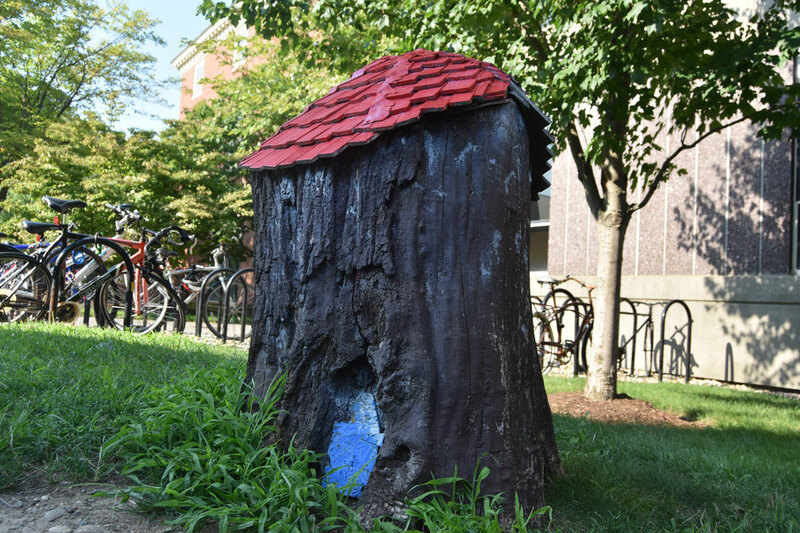 In 1997, Harvard Magazine reported that a home for Piglet had appeared with a nameplate and yellow door across the path from Pooh’s abode. 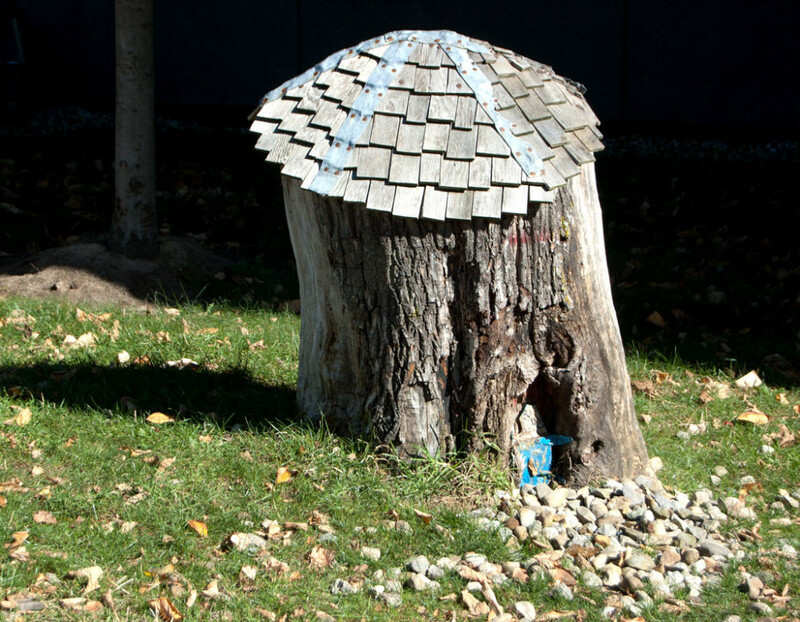 Then a trapdoor marking the location of Rabbit’s house showed up nearby. People would leave pennies that the family would collect and donate to their church. 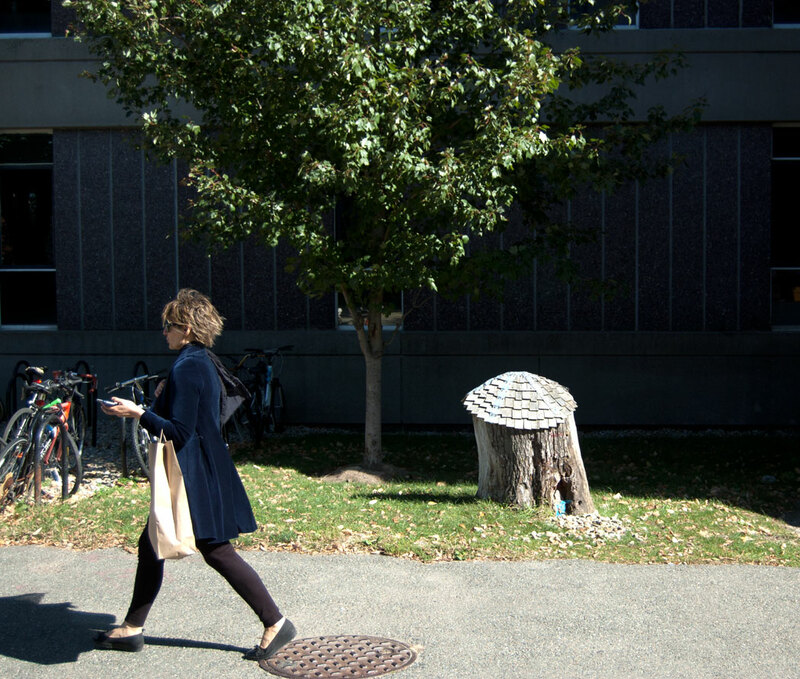 In June 2012, the tree’s poor health prompted Harvard to chop it down, leaving a tall stump. 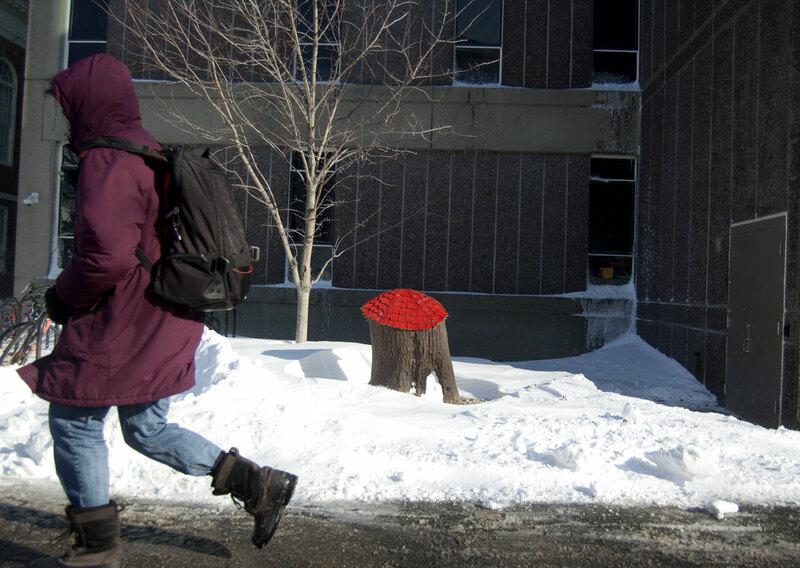 “It was an ancient tree and apparently it was diseased and because it was so close to the Science Building they were afraid of it,” Eastman says.